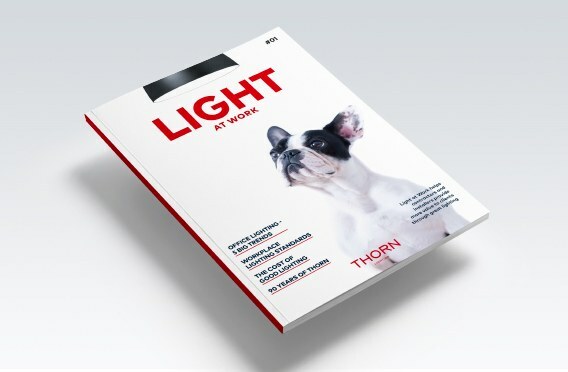 Thorn is proud to announce the launch of Light at Work, our new magazine designed specifically for electrical contractors, installers and suppliers. Lighting represents an opportunity for the trade channel to provide more value to owners and operators of offices – and Light at Work is here to help them do just that. The first edition, focusing on office lighting, explains in plain English the challenges of office lighting, and presents exemplar case studies from Thorn Lighting, showing how to get it right. It includes useful design advice and analysis of the top trends that are transforming the way today’s offices are lit. Light at Work aims to help contractors achieve optimum results with the best of today’s technology. Jakob Geppert, Senior Application Director for Office, said: “Businesses around the world are waking up to the incredible value of better light. At Thorn we’ve always believed that good-quality, low-energy lighting not only helps employers save energy, it also contributes to the health and wellbeing of employees, helping them perform better. Would you like to read the first edition of Light At Work? Click here in order to download the magazine.